Our custom bobble head gift store features many body styles to choose from. Each can be painted to represent your team colors. 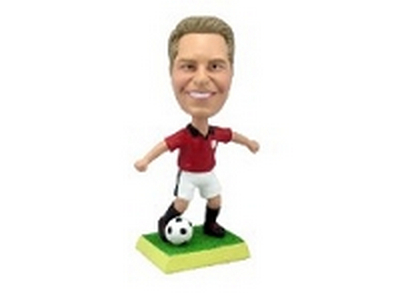 Time to design your own custom bobblehead doll made to look like you in a sports theme. We can add a name, numbers and change clothing colors (if selected) to make any doll the team of your choice. Our sports custom bobbleheads are simply wonderful and the best part, they look like you!